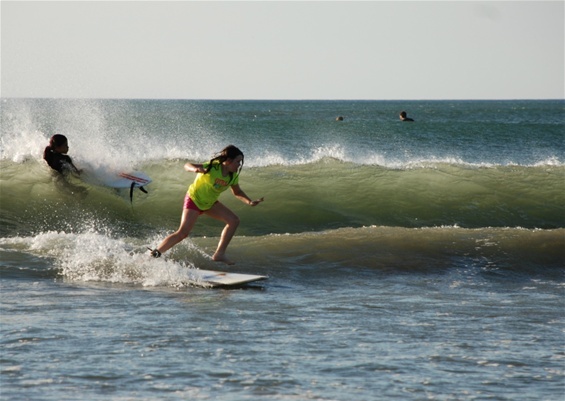 Lauren rips it up at her first after school surf lesson. We make it back it time (see post below) and get to surf camp on time. Now she wants a surf board........There are more photos on my photo page. Great shot of Lauren in action!